Everything you think you know about decluttering? I can help you end the cycle. Don't waste any more time or energy on the coo-coo clutter cycle. There are 3 things you MUST do BEFORE you detox & purge your junk. Stay tuned. I'll be sharing those 3 things along with my formulas, workbook, and guides for curating your life. Get on my launch wait list, to receive my free resources so you can get started right away! My free starter course is coming soon! Be sure to get on the wait list so you can start as soon as we launch. Check your inbox to confirm your email then be on the lookout for free resources, guides and workbooks and an invite to my private Facebook group when we launch! Don't forget to an invite a friend to join you for this journey! I DO NOT dictate insanely generalized rules for dressing your kid like "only shop for the new season" or "stick to one color palette"
I DO NOT strip you down to the bare essentials or preach extreme minimalism. I DO NOT live with sunny delusions of always over 60° weather, kids who keep clean, (do they exist? ), or unrealistic clothing budgets. I DO help you discover YOUR OWN ideal numbers using a very strategic process using personality patterns and Pinterest. I DO live in Montana. My kids get dirty in our urban garden...like, really dirty, and budget? Ya...I have a secret weapon for that too. Don't sweat it, I'll share. How the heck are they helping if they don't know what the problem is? I have a more holistic approach. I get to the root of the problem instead of just treating the symptoms. There are no one size fits all approaches, no temporary fixes. My formulas & step by step system reveals the EXACT solutions & plans for you. The next thing to do is develop your style. Whether you have a strong sense of self style or feel completely lost I will help you refine this down to an art! We put together your 'Perfect Style Vision Board' to formulate your key criteria which will be your hot shopping tool. When looking to simplify our lives, I believe the wardrobe holds more power than one would at first believe. What is one of the first things people do each day? What is one of the most common ways people express their personalities? What is one of the biggest influencers of the first impression we give? The list goes on! The fact is clothing affects many facets of our lives, and we live in a fast fashion world where it is easy to make bad choices because there are SO MANY OF THEM everywhere we go. 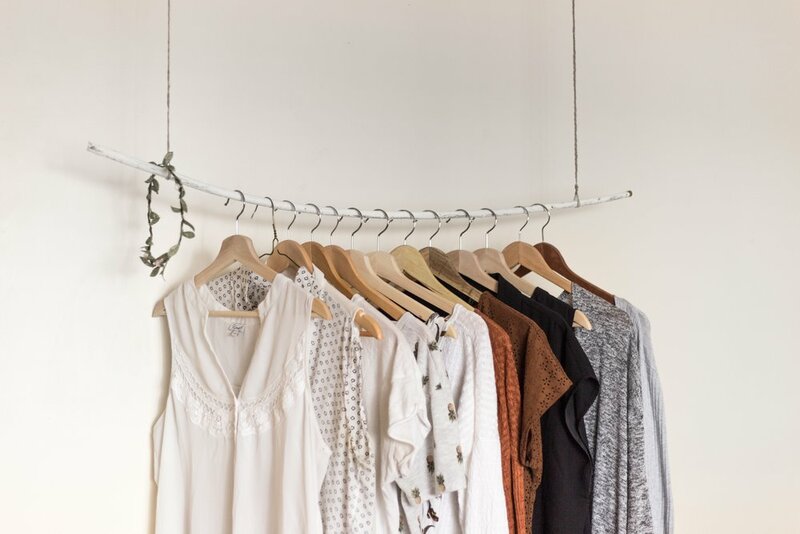 I will help you craft a wardrobe that is both functional and fun AND show you how to keep your wardrobe carefully curated by developing life long skills. Believe me when I say, these skills will go far beyond your closet. Don't forget to check your inbox to confirm your subscription and receive free tools resources and training!